Yes We Can's first wine, Sway Rosé, is the Lone Star State’s first ever Texas-grown canned rosé. It's for people like us. People that sway to the beat of their own drum. People on the hunt for something new. Something refreshing. Something that goes wherever, whenever. Canned in Texas, the bone-dry rosé comprised of 100 percent Texas High Plains grapes, is medium-bodied and incredibly aromatic on the nose. Peachy in color, the wine itself has hints of guava, passionfruit, fresh strawberries and honeysuckle, leaving the palate with a crisp, refreshing finish. 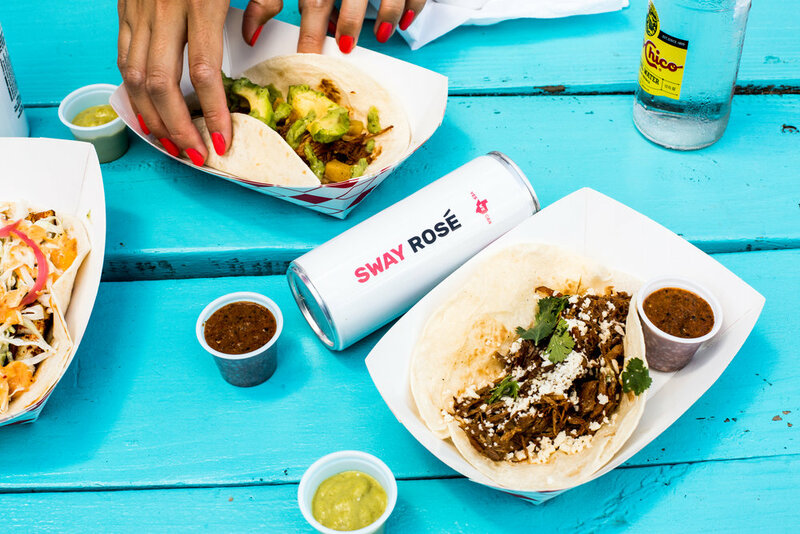 Sway Rosé pairs well with anything, from potato chips to caviar, bolognese to barbacoa tacos. Our rosé is meant to be enjoyed anywhere and everywhere - floating the river, backyard BBQs, hanging out poolside, camping, or in the comfort of your own home. Thanks for swaying with us!